FoxDen Decor has added new barstools to its product lineup. FoxDen Decor (https://www.foxdendecor.com/), an online retailer of handmade rustic and reclaimed wood furniture, has added new designs to its bar stool line. Other styles include the colorful Fiesta, Acuna, Harrison, and the stately Cabana. 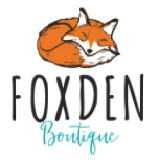 Visit the FoxDen Decor’s bar stool page to experience the full product line.